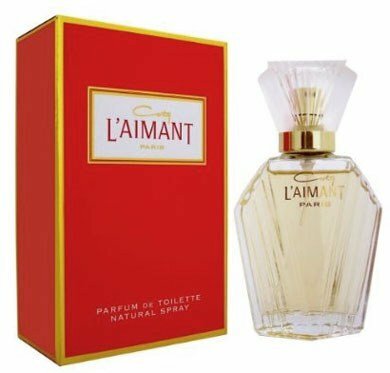 L'Aimant (Eau de Toilette) is a popular perfume by Coty for women. The release year is unknown. The scent is powdery-floral. The production was apparently discontinued. Once again I get to know a fragrance that has long gone down in the annals of the unfortunately discontinued fragrances. And "inherited" it from my mother's sister who moved. And discovered all sorts of perfumes while clearing them out. She herself uses only "her" a scent, and so I took the good pieces "in care" and am very happy about the great "treasures". As the second after the "old Tosca", I have now taken on "L'Aimant" from the "perfume king" Francoise Coty, which he composed together with Vincent Roubert. And WHAT's going up my nose is very "classic" and very interesting. It is flowery, finely woody and powdery, but in a special way that I like it very much and how it only occurs in real retro fragrances. Quite simply because the ingredients have not yet been "censored" and have not yet been reformulated. What particularly strikes me here is the soft radiation of the scent, which can only be achieved with a lot of real sandalwood. An almost powdery reverberation framing the roses and jasmine, possibly carnation and definitely iris, like a nobly designed picture frame an excellently depicted flower still life of a painter of earlier times. Although shelf life and sillage are very good, the scent of L'Aimant is never intrusive. It accompanies as a pastel-colored "cloak" throughout the day, is wearable at any time of year and on many occasions and would probably inspire not only Luca Turin and Tanja Sanchez (authors of some well-researched perfume description books). It is a wonderful witness of past perfume art and a "feast" for the nose. 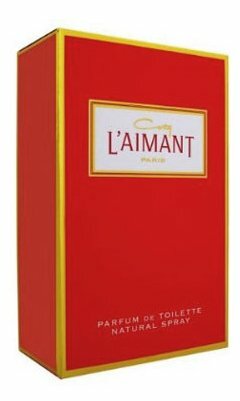 Write the first Review for L'Aimant (Eau de Toilette)!